Was it really the butler who did it? Or maybe it was the snoopymaid? Tom Austen and his sister Liz have just arrived at Casa Loma, the famouscastle in central Toronto. There to solve a mysterious disappearance and find alost treasure, the two young detectives discover that the old castle holds moresecrets than even they had bargained for. 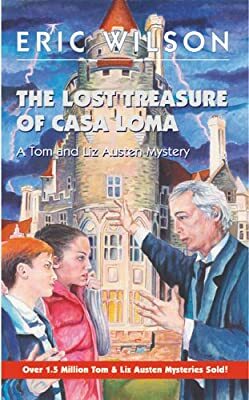 With plenty of suspects to keep readers guessing right to theend of this gripping mystery, The Lost Treasure of Casa Loma deliversaction and adventure along with a painless hit of Canadian history.